Check out Tobi's Feeling Warm Plaid Scarf Here's your one-way ticket to cozy. Wrap yourself in the Feeling Warm Black & White Plaid Scarf. This oversized scarf features a frayed hem and plaid print on the softest fabric. Top off all your fall and winter outfits with this plaid print scarf! Here's your one-way ticket to cozy. 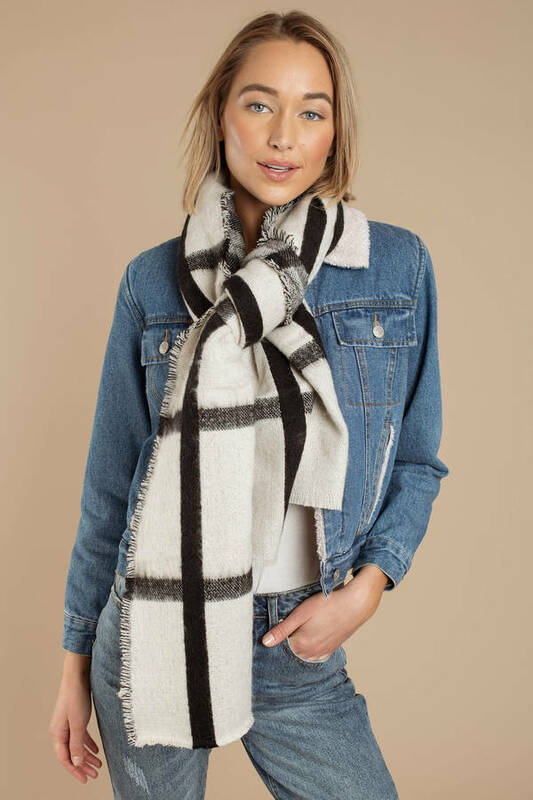 Wrap yourself in the Feeling Warm Black & White Plaid Scarf. 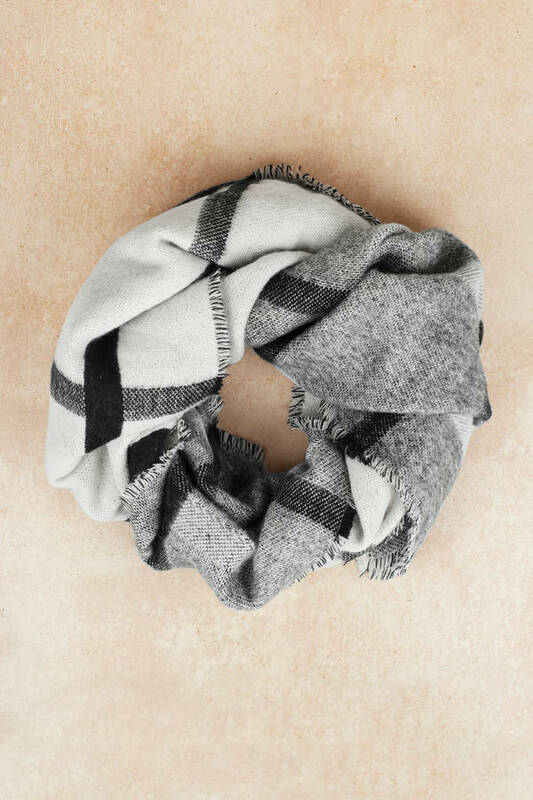 This oversized scarf features a frayed hem and plaid print on the softest fabric. Top off all your fall and winter outfits with this plaid print scarf!